Just a shout out to my colleague, Myra Virgil, who went through the Senior International Fellows Program with me last month – congratulations on your story highlighting the establishment of the Bermuda Community Foundation in the Royal Gazetteonline. The article is by blogger and writer Jessie Moniz who has graciously granted me permission to give you a teaser. Thanks also to editor, Jeremy Deacon. “Dr Myra Virgil is using lessons learned from a prestigious American grantmaking fellowship to create an organisation that will provide an enduring source of funds for local charities — many of whom are currently locked into a life or death struggle for survival due to the current economic climate. 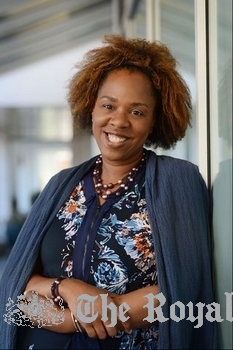 This entry was posted in philanthropy and tagged Atlantic Philanthropies, Bermuda Community Foundation, community foundations, CUNY, Myra Virgil, Senior International Fellow in Philanthropy. Bookmark the permalink.